For about the past five years or so, I have been working with a great organization called Pharmcon, occasionally doing educational webinars, as I did yesterday afternoon, for pharmacists, pharmacy technicians, nurses, etc., about Emily’s Legacy and the vital lessons learned from the horrible tragedy that occurred in 2006. After yesterday’s webinar, I received this very kind and heartfelt letter from the newest member of the Pharmcon team. Correspondence like this, truly inspires me to continue down this path that I believe was “chosen for me” and makes me feel as though the Emily Jerry Foundation is really affecting positive change, making a difference, and quite possibly saving some lives from preventable medical error. With that said, I find it quite ironic that this gentleman’s last name is “HOPE” because that is exactly the true blessing he has given me! 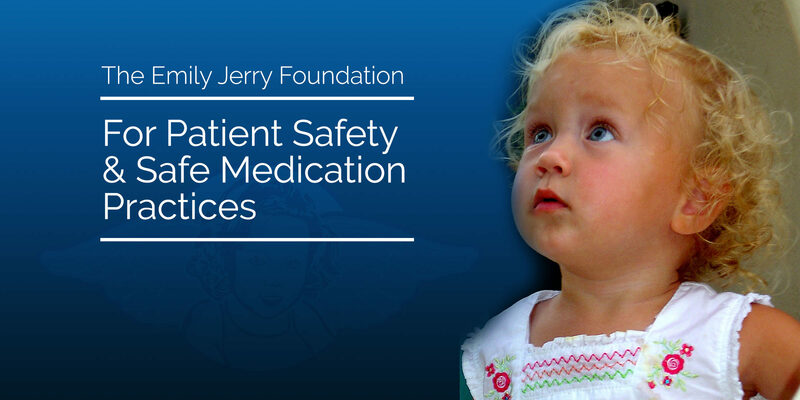 I just wanted to take a moment to say, from the bottom of my heart, how much I appreciate your joining us today on our PharmCon webinar and sharing some of the more recent highlights from the Emily Jerry Foundation. I, too, believe that multiple miracles occurred on that day amidst incomprehensible tragedy and heartbreak. One of those miracles was you. As the newest team member at PharmCon, I was ecstatic to learn that we had a solid working relationship with you to communicate such a vital message on so many fronts. Having served as the director for an ASHP accredited training program, I knew of Emily’s legacy, but it was only recently that I made the connection between Emily’s legacy and the positive changes that I see from state to state, especially within the arena of pharmacy technology education. I am a member of PTEC (Pharmacy Technician’s Educator’s Council) and have followed the dialogue surrounding pharmacy technician education requirements over the past several years. I am still appalled that, even within our profession, we find objections to ‘common sense’ at times. It was an absolute honor to speak with you today! Consider this to be my own offer to be an “advocate for the advocate,” whether it be through my role with Kevin and our team at PharmCon or on a personal level.